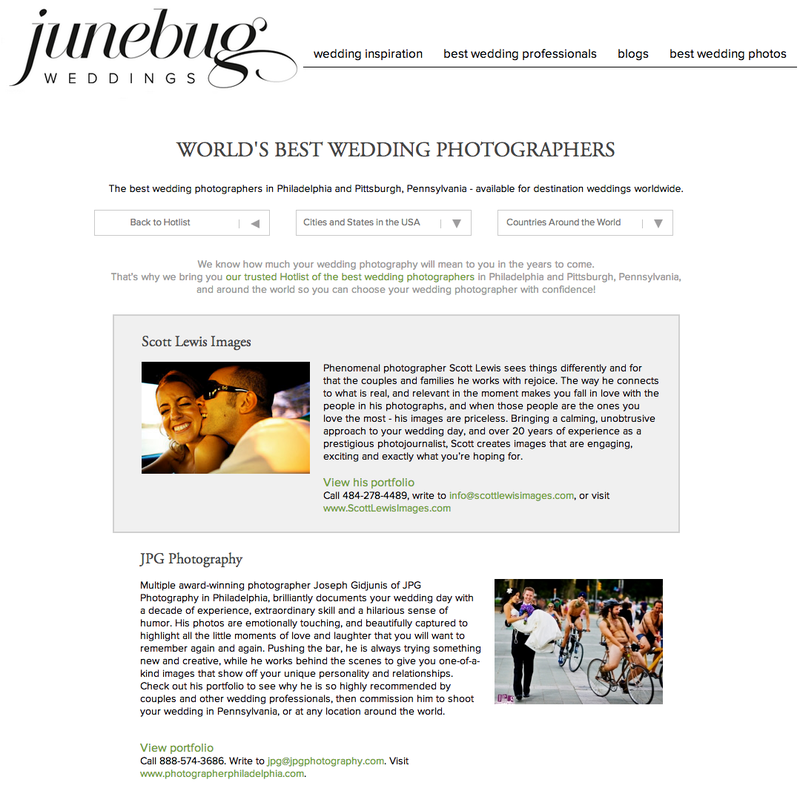 Junebug Weddings, has become a must-view wedding blog, featuring the latest styles and concepts in creating your contemporary wedding. It has poised itself to be an industry leader and only accepts a handful of local photographers. JPG was privileged to obtain a coveted spot. Junebug seeks out professionals in the industry who deliver artistry, beauty and emotion with integrity and passion. Co-founders Blair deLaubenfels and Christy Weber have been part of the wedding professionals community for over fifteen years beginning as photographers themselves. We are tremendously honored to be part of the Junebug family and we look forward to our clients seeing more of what’s happening in the industry through their site. Thank you for making us part of the Junebug family!